Green juice may seem like a mainstay in our wellness culture but cast your mind back ten years. It was rare to see someone toting around a juice or asking for spirulina to be added to their smoothie. Pressed Juicery and its inspiring founder, Hayden Slater, changed all of that. 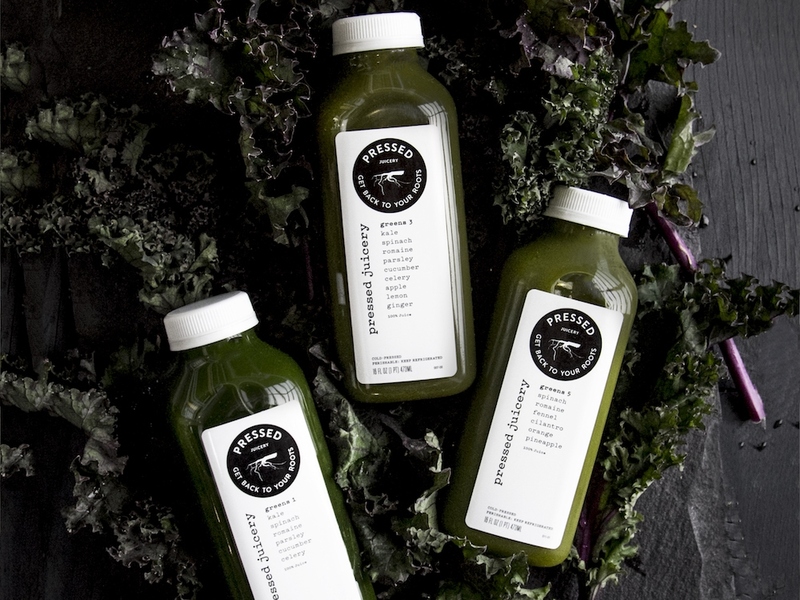 Slater founded the first Pressed Juicery way back in 2010 with childhood friends Carly de Castro and Hedi Gores- once run out of a converted broom closet in Brentwood - and built it into the socially conscious, beacon-of-health brand that it is today. They say necessity is the mother of invention, and such was true for Slater. After a stressful career in entertainment, he took a trip to Southeast Asia to unwind. Slater discovered cold-pressed juice and started on a cleanse that made him feel vibrant - and eventually 60 pounds lighter. 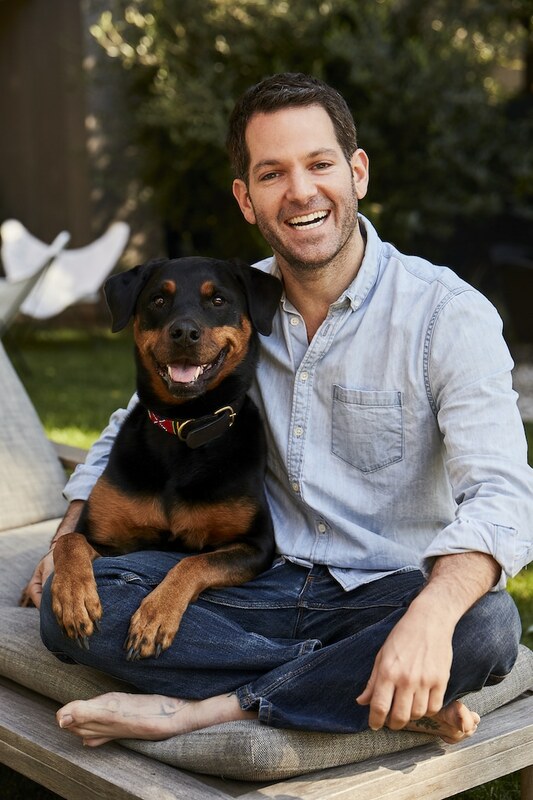 When he returned to LA, he wanted to introduce his friends to cold-pressed juice, but it didn't exist in a convenient bottled form; so he created it. Now Pressed is truly considered the pioneer in the functional juice space. From their cult celebrity following to the largest juice facility in North America, they have the platform to instruct real change. Which is exactly where Slater has set his sights. We sat down to discuss making health more accessible, and why his dream collaboration is… McDonald's. What was the inspiration for Pressed Juicery? HAYDEN SLATER: When I was a freshman at NYU, I had a required 8 am yoga class and in walked a beautiful blonde with tangible energy. She really opened my mind over the course of the semester. She taught me concepts I knew but didn’t really know like macrobiotic food and juicing. She had gone to Tisch and been cast in a Broadway show. Two months before it opened, she was diagnosed with a rare form of cancer and was given six months to live. She started juicing, dancing, eating macrobiotic food...it’s now been sixteen years. Seeing her with that thermos of green juice every day had a profound effect on me. When our show wrapped [Slater worked in television after college], I booked a one-way ticket to South East Asia. I attempted a five-day juice cleanse and it ended up lasting for thirty days. I realized that this is what you’re supposed to feel like - the clarity and energy were unlike anything I previously felt. When I returned home, I wanted to pursue a career in juicing. I couldn’t stop thinking about the power of one simple act - having a green juice every day - to live a healthier, cleaner life. Pressed was ahead of the curve in terms of the Wellness boom - how do you feel the industry has changed in the past couple of years? HS: I’m realistic that we didn’t invent juice. We took what was existing at the time, which was a couple brands and their we think, you drink strategy, and built upon it. Because everyone is at a different point in their journey, a cleanse might not be right for everybody. We wanted to be this ‘kid-in-a-candy-store’ company where we had something for everyone. If you want a cleanse, you can absolutely do that, but at our core, Pressed Juicery has always been about community. Buying a juice is an investment in your health but when it's $12 the good feeling is negated and we wanted to be accessible. We made decisions throughout the years, such as not being 100% organic or not using glass bottles, to ensure that we could make Pressed accessible. Tell us about Pressed Juicery Membership! HS: This is one of the most exciting parts of the entire business. I obsess over Starbucks because they taught the world that $5 is an appropriate amount to spend on a beverage. If I can replace beans with four to five pounds of produce, imagine the number of people we can get to. That has always been a driving force for me. In seven years of business, we went from $7/$8 price point to $5 with the same produce - no compromise is something I’m really proud of. That said, our membership program is a minimum commitment of $10 a month which goes directly towards purchases. I wanted a membership because subscriptions scare me - you can’t stop or change your subscription with most companies and I wanted to ensure our customers have flexibility. What about new and popular Juices?! HS: Celery really goes back to the roots of who we are. The simplicity of a single ingredient is so refreshing and rewarding. Innovation is one of the strongest parts of our company. We use 5 to 10 stores to test new juices, get live feedback, dream up new products and have them on the shelves in seven weeks. Another ingredient I’m really excited about is Elderberry - I’m obsessed with it! What's the hardest thing about being a founder? HS: I think I face more challenges being a CEO than a founder. When I transitioned to this role, I was no longer making decisions that were best for me but fully making decisions that are best for the best company as a whole. I don’t look at this as a challenge, but a great learning. HS: It really truly changes! Mentally I want to say green juice because I want to get those leafy greens in. What’s the most creative way you've seen Pressed used in a recipe? HS: It gets funky! We’ve actually seen them used as dyes for clothing. And I make salad dressings with them! HS: Working with Vogue on our first ever collaboration was amazing and since then we’ve worked with Sugarfina, The Movember Foundation and Mendocino Farms. If you had asked me two years ago, I might have said something like a Nike, but lately, I’ve been thinking about Mcdonalds. That would really be taking the ethos of our juice and our brand and standing behind it. The juice world is truly competitive, and I mean it when I say I have so much admiration for anyone working on “better for you products.” I don’t think we should be competing against each other, I think we should be going after the McDonalds and the Burger Kings of the world. I’m always thinking about how to really show up and give back to communities as well, because this is at our core. If we can help, we do. We’ve sent juices to those in need in the wake of terrible catastrophes and tragedies. While we know juices are not the solution to these problems, our belief is that we will always do our best to bring positivity into this world – sometimes this is through something as simple as an extra smile or taking the time to ask one of our customers how they are doing or handing out a nutrient-rich juice. While what we do may seem small in the grand scheme of things, I know these small gestures make a difference. If we can expand more on giving back, that would be rewarding and powerful. Visit pressedjuicery.com for more information.